Looks Good from the Back: Adrien: Denim at work. 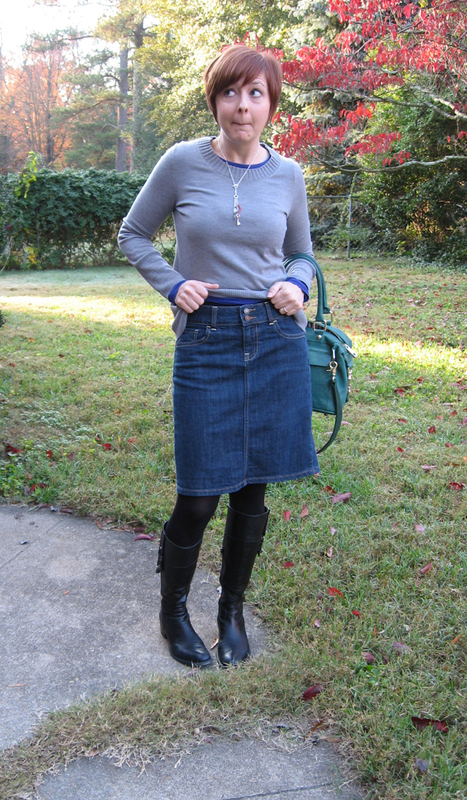 I'm not allowed to wear jeans to work, but nobody said anything about denim skirts, so I've been gradually sneaking it in. 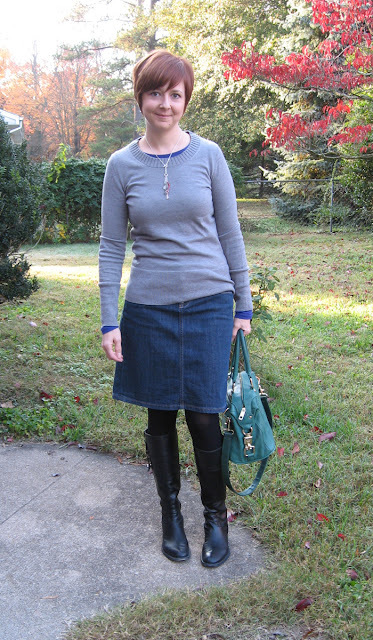 Last week I decided I wanted to wear my languishing denim pencil skirt, but I felt like I should hide the more jean-like elements. 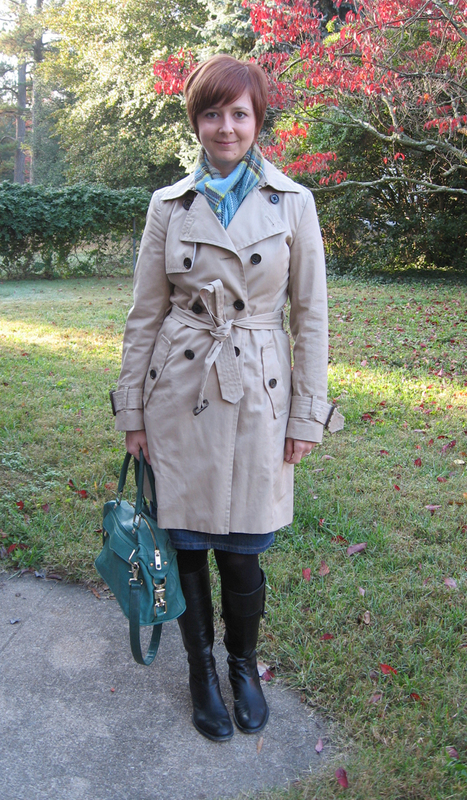 Thus, I paired it with a sweater so frumpy and boring that I almost didn't post the outfit when I saw the pictures. See, kids? I screw up all the time. That's why you love me, right? Because I'm not afraid to make you shake your heads in awe at my poor judgment. I actually love that sweater. Does that make me a freak? ... I like the sweater too. The sweater link is broken. Are you trying to tell us something? Not a freak! I just felt like I could've been more creative. The sweater just read kind of dull to me, but you two make me feel a little better about it. haha I love the stealth denim photo!